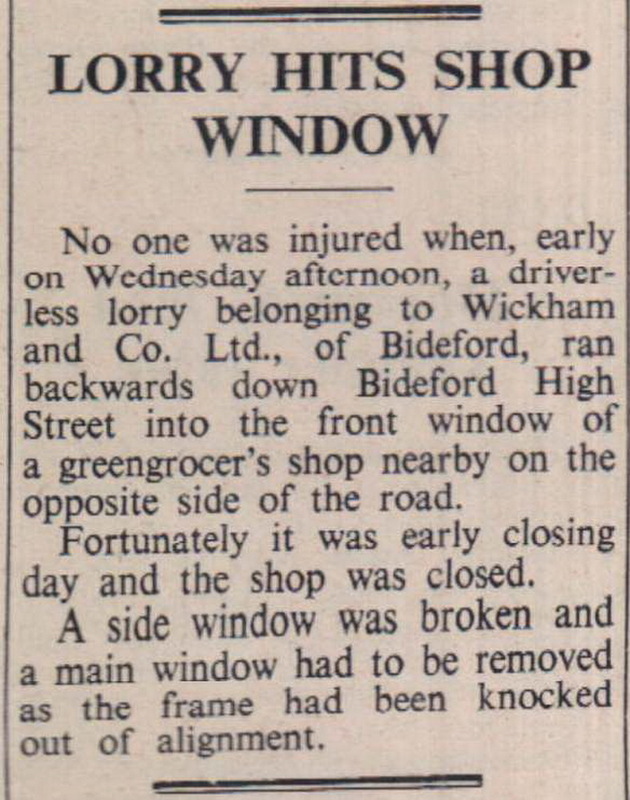 No one was injured when, early on Wedensday afternoon, a driverless lorry belonging to Wickham and Co. Ltd., of Bideford, ran backwards down Bideford High Street into the front window of a greengrocer's shop nearby on the opposite side of the road. Fortunately it was early closing day and the shop was closed. A side window was broken and a main window had to be removed as the frame had been knocked out of alignment.